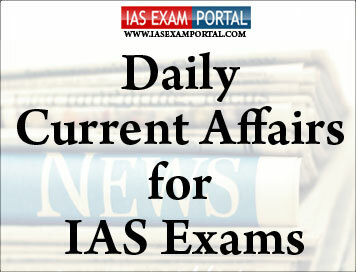 Current Affairs for IAS Exams - 1 September 2018 | IAS EXAM PORTAL - India's Largest Community for UPSC Exam Aspirants. The Law Commission of India on Friday said a Uniform Civil Code (UCC) is “neither necessary nor desirable at this stage.”Inan 185-page consultation paper, the commission said secularism cannot contradict the plurality prevalent in the country. It said the way forward may not be UCC, but the codification of all personal laws so that prejudices and stereotypes in every one of them would come to light and can be tested on the anvil of fundamental rights of the Constitution. The amendments in personal laws include fixing the marriageable age for boys and girls at 18 years so that they marry as equals, making adultery a ground for divorce for men and women and to simplify divorce procedure. The commission said the filing of Section 498A IPC (dowry harassment) cases is actually done by women wanting a quick exit from a difficult marriage. It suggested that nikahnamas make it clear that polygamy is a criminal offence and this should apply to “all communities. Census 2021 will for the first time collect data on Other Backward Classes (OBC), the Centre said on Friday.The decennial exercise will involve 25 lakh trained enumerators and the use of “maps/geo-referencing at the time of house listing is also under consideration,” a statement issued by the Home Ministry said. The 2011 caste data collected as part of the Socio-economic Caste Census (SECC) is yet to be released by the Centre. The National Commission for Backward Classes says there are 2,479 entries on the Central list of the OBCs. The Home Minister also emphasised the need for improvement in the Civil Registration System, especially on registration of birth and death in remote areas, and strengthening sample registration system for estimating the data namely, infant mortality rate, maternal mortality ratio and fertility rates,” the statement said. Presently, the “schedules” (a tabular form containing details of individuals), carried by enumerators to households was being stored in a physical form at government’s storehouse in Delhi. It is based on these schedules that the relevant statistical information on population, language, occupation, etc, are sorted from and published. Earlier, the Home Ministry issued notification that the data collected during 2021 Census would be stored electronically, also a first. The rupee on Friday hit the psychological mark of 71 against the U.S. dollar for the first time as month-end dollar demand from importers continued amid inching up of crude prices. “Emerging market currencies are under pressure and this has weighed on the rupee too. The dollar index continues to remain higher on expectations of aggressive interest rate hike by the Federal Reserve,” said RushabhMaru, analyst at AnandRathi Shares and Stock Brokers. On Friday, the Indonesian rupiah slid to a two-decade low — its lowest since the Asian financial crisis of 1998. Experts said the RBI had not been intervening aggressively to defend the rupee, which has depreciated more than 9% against the dollar in 2018. “On the domestic front, the intensity of RBI’s intervention has dissipated. While there is complete lack of communication from the RBI, comments from officials from the government and quasi-government agencies give the impression that they support this fall in the rupee’s value in the interests of competitiveness,” said AbheekBarua, chief economist, HDFC Bank. The fall also weighed on the equity markets as the Sensex lost 45.03 points to close at 38,645.07 with 14 of its constituents ending in the red. Index heavyweights such as Reliance Industries, Maruti, ICICI Bank and HDFC Bank lost ground. The Prime Minister, ShriNarendraModi, will launch the India Post Payments Bank (IPPB) at Talkatora Stadium in New Delhi on September 1st, 2018. IPPB has been envisioned as an accessible, affordable and trusted bank for the common man, to help speedily achieve the financial inclusion objectives of the Union Government. It will leverage the vast network of the Department of Posts, which covers every corner of the country with more than 300,000 Postmen and GrameenDakSewaks. IPPB will hence significantly augment the reach of the banking sector in India. The launch of IPPB marks another significant milestone in the Union Government’s endeavour to take the benefits of a rapidly developing India to the remotest corners of our country.On the day of the launch, IPPB will have 650 Branches and 3250 Access Points spread across the country. Simultaneous launch events will be held at these branches and access points. The first face-to-face engagement between the new Pakistani government and India could come later this month when External Affairs Minister SushmaSwaraj and Pakistan’s Foreign Minister Shah MehmoodQureshi attend the SAARC (South Asian Association of Regional Cooperation) Council of Ministers’ meeting in New York. The SAARC meeting, which will most likely include a lunch attended by the Foreign Ministers of India, Pakistan, Afghanistan, Nepal, Bangladesh, Bhutan, Sri Lanka and the Maldives, is scheduled for September 27. The informal Council of Minister’s meeting was also held last year on the sidelines of the UNGA, and is expected to be chaired by Nepal Foreign Minister PradeepGyawali, and organised by Pakistani diplomat AmjadSial, who is the SAARC Secretary-General. Sources confirmed to The Hindu that preparations for the informal meeting of Ministers of the grouping are being made by the SAARC secretariat in Kathmandu. External Affairs Ministry sources confirmed the meeting would be attended by Ms.Swaraj “as in previous years”, as did the Ministry of Foreign Affairs spokesperson in Islamabad, who also said several unspecified steps may be taken by the two countries. Nepal, which hosted the last SAARC summit in Kathmandu in November 2014, has been keen to pass on its chairmanship of the regional grouping, which it can only do once India and other members agree to attend the summit in Islamabad. The U.S. government has decided to stop all funding it gives to a UN agency that provides assistance to millions of Palestinian refugees, ending a decades-long policy of supporting it, according to a former senior U.S. aid official. The move was pushed hardest by Jared Kushner, President Donald Trump’s son-in-law and top adviser on West Asia, as part of a plan to compel Palestinian politicians to drop demands that many of those refugees be given the right to return to what they call their homeland, said the former official, R. David Harden. Each year, the State Department transfers money by the end of September to the UN Relief and Works Agency, known as UNRWA, which provides aid to Palestinian refugees across the West Asian region. Earlier this year, the State Department released $60 million of the $350 million allocated for the agency, but Mr. Kushner and Mike Pompeo, the Secretary of State, have decided not to give the remaining $290 million, said Mr. Harden. “What we’re seeing right now is a capricious move that has a very high risk of unsettling the region,” he said, noting that the relief agency supports about five million refugees across the region. Inland Waterways Authority of India (IWAI) today made public 13 standardised state-of-the-art ship designs suitable for large barge haulage on river Ganga (National Waterway-1). This marks attaining of a critical milestone in the growth of the country’s Inland Water Transport (IWT) sector as it will help overcome the unique navigation challenges river Ganga throws due to its complex river morphology, hydraulics, acute bends, shifting channels, meanders and current. It will serve as an enabler for domestic shipbuilding industry working on inland vessels and open huge possibilities for cargo and passenger movement on National Waterway-1. The Government is implementing JalMargVikas Project (JMVP) for capacity augmentation of navigation on NW-1 (Varanasi-Haldia stretch) at a cost of Rs 5369.18 crore with the technical assistance and investment support of the World Bank. Even as the work on JMVP is going on in full steam, the specially designed vessels will navigate on low drafts with high carrying capacity and at the same time, environment friendly. For the shipbuilding industry, the new designs will translate into a savings of Rs 30-50 lakhs in the building of a vessel. The new designs will obviate the dependence of Indian Ship builders on foreign ship designs for IWT and prove to be a boost to ‘Make in India’ initiative of the Government. The government will bear the expenses of India’s participation in an international khokho tournament to be held in England from September 1 to 4.Union Sports Minister Rajyavardhan Singh Rathore, on Friday, approved the participation of the team. The decision to provide financial support to the KhoKho Federation of India for taking part in the tournament has been taken to give a boost to this traditional Indian sport.